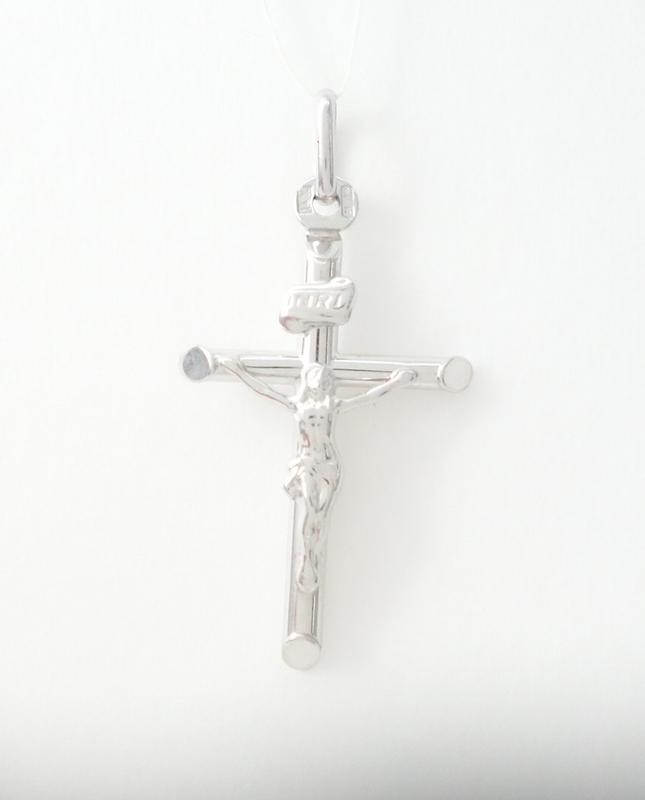 A simple 14k white gold cross with Jesus. Made in Italy. Chain NOT included. All prices are in Canadian dollars. 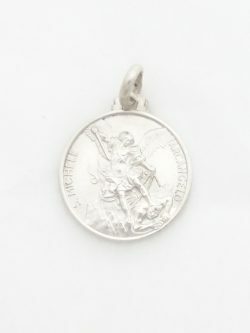 10k baptism charm from Italy. Chain is included. On the back "Ricordo del Battesimo" is written on the back which translates to "Baptism Keepsake". 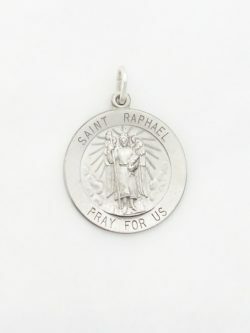 Length: 28mm* Width: 13mm* *all measurements are approximations.